Every time Omen hits an enemy with a normal attack, he gains one Thirst point. After reaching five points, Omen increases his movement speed by 60 and his attack speed by 25% for 5 seconds. His strengthened normal attack will also deal 60 true damage and reduce the cooldown for Death’s Beckon and Untouchable by 1 second. Thirst’s counter begins to reset once Omen is out of combat (similar to The Joker’s passive). Thirst points don’t immediately reset; instead they tick down to 0 at a rate of one point per second. Omen uses his blade to pull all enemies in front of him closer, dealing 200/240/280/320/360/400 (+0.8 AD)ˀ physical damage and slowing their movement speed by 25%. damage reduction, while increasing his movement speed by 30% for 2 seconds. In this state, Omen can reflect normal attacks, dealing physical damage to the attacker, decreasing their movement speed by 30%, and adding any bonus normal attack effects from Omen’s equipped items or buffs. Each attacker can only have their attacks reflected once. Armor pierce and armor reduction effects apply, but not life steal effects or critical hits. 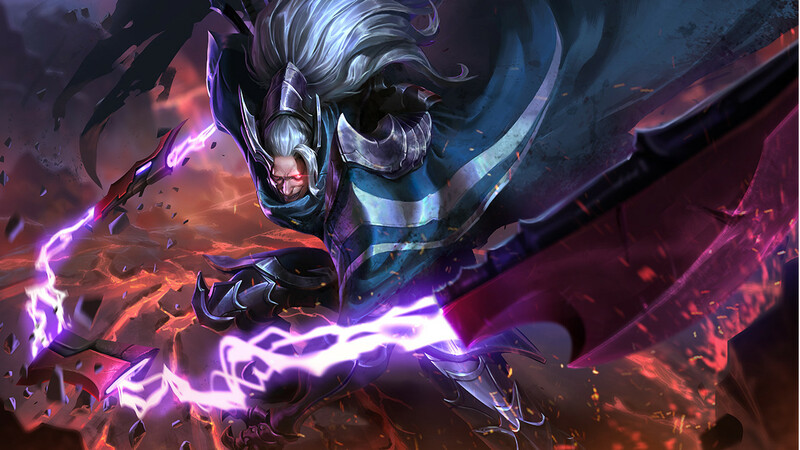 Attack effects from Fafnir’s Talon, Fenrir’s Tooth, Blitz Blade (including CDR), Frost Cape, and Hyoga’s Edge apply. Omen rushes forward and deals 400/500/600 (+1.2 AD) physical damage to the first enemy hero he runs into. He then summons a plasma sword that curses the target for 5 seconds. While cursed, the target deals less damage with attacks and cannot leave the sword’s area. The Endure talent can be used while affected by Death’s Embrace. Before engaging the enemy team, try to activate Omen’s passive by attacking monsters or minions. Use Untouchable on ranged enemy heroes to reduce their movement speed and reveal their location to allies. Our recommended order for Omen’s abilities as he levels up. See all of Omen’s item builds. But does Fenrir’s tooth passive stack with Odin’s Will passive, because it’s hard to pull off in training mode. From my calculation, it should be somewhere 300-320 True Damage if i equip both items. In weaknesses, you should put Kilgroth or WW because they are both heroes you will see in the lane that are both very strong against him, Kilgroth being immune to his ult with his ult and having lifesteal, WW being too tanky while dealing decents amounts of damage.